Update | Long Beach Exchange is now 78 percent leased, despite the closure of its first anchor store tenant, a spokesperson from the owners of the complex said this week. Burnham-Ward, owners of LBX, said the site plan available on the company’s website was not up-to-date, and two new businesses outside of The Hanger have been added to LBX. While the updated site plan shows a total of 17 spaces available for lease, the spokesperson said that new tenants often choose to lease multiple spaces, so Burnham-Ward measures vacancy rates by the amount of square footage leased. According to that measurement, LBX is 78 percent leased and is in negotiations for an additional 9 percent of the space. Despite the closure of Orchard Supply Hardware, it will remain leased under a contract and the owners of OSH will find a new tenant. The spokesperson also noted that LBX is ahead of its leasing projections by 20 percent and the current tenants are “exceeding their early sales projections for performance at the center,” including OSH. 8/29/18 at 3:33 p.m. | A few weeks before the official grand opening of the 266,000-square-foot Long Beach Exchange, the retail center’s first anchor store is already closing. Lowe’s, the parent company of Orchard Supply Hardware, announced last week it was closing all of its 99 OSH stores, including the one at the newly-opened Long Beach Exchange in East Long Beach. A close-out sale is now underway. Besides than the soon-to-be vacated OSH store, one larger anchor unit and 18 smaller restaurant and retail units at LBX remain unfilled, according to the site plan on the LBX website. There is a total 42 spaces for businesses (one of which includes The Hangar, a food court with space for several businesses). The owners of LBX are not worried, however, stating that they expect the OSH space will get attention from prospective retailers because of its “strategic location,” said Scott Burnham, one of the owners of LBX. “The closure of OSH at Long Beach Exchange was due to Lowes’ overall corporate strategy and is independent of the performance of retailers at Long Beach Exchange,” Burnham said in an emailed statement. 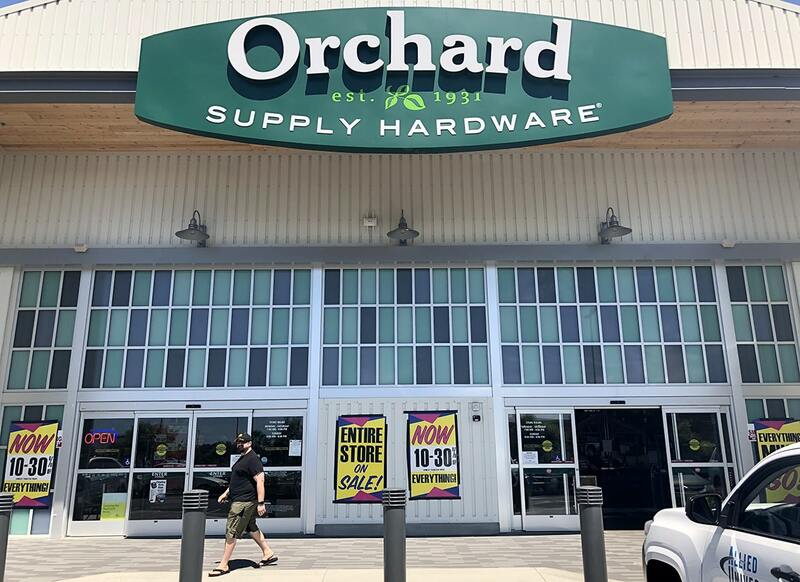 Orchard Supply opened in March as the first of eight anchor tenants; others include PetSmart, TJ Maxx and Whole Foods. Some of the businesses slated to open at LBX have yet to move in. Anaheim-based Georgia’s Restaurant is planning to open a second location at LBX, but is still in the development stages. The owners just learned about the closure of OSH on Tuesday and said they are concerned.